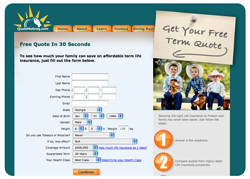 QuoteMeGreg.com offers free quotes on life insurance. The site was designed with a CMS interface. The forms interface with a quoting tool from a 3rd party and store client information into a database. 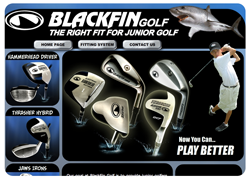 Blackfin Golf is a new company offering top of the line junior golf clubs. The website we designed implements a easy navigation and highlights the golf clubs. 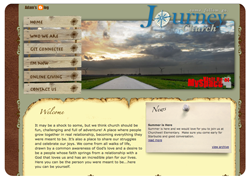 Journey Church is a church plant in Lakeland, FL. The site design reflects the rustic area they are located in. The site features include our signature podcast upload module and custom CMS. 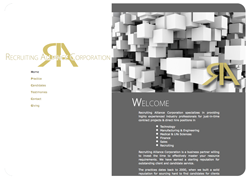 Recruiting Alliance Corporation is a placement company located in the North Metro Atlanta area. The site is designed to show clean lines and an overall professional presentation. The site also includes a simple CMS interface. 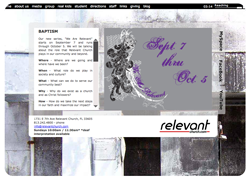 Relevant Church is located in Tampa, FL in Ybor city. The site was designed to appeal to the church's young urban crowd. The site includes CMS with our custom video/audio podcasting module. 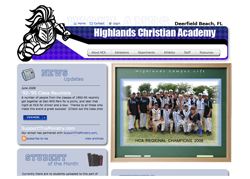 Highlands Christian is located in Deerfield Beach, FL. The website has custom CMS capabilities as well as a specific system for the sports stats, making the site manageable by teachers and coaches. 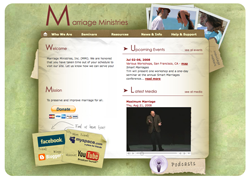 Marriage Ministries is the brain child of Dr Tim Gartner. The site was designed to be a tool for him to promote and give him a better connection to those he helps. The site includes custom CMS and our audio/video podcast module. 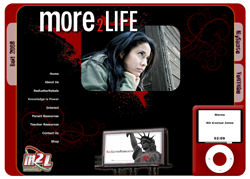 More 2 Life is a teen crisis program located in the Tampa Bay area. The website was designed to appeal to teens and adults alike. It includes custom CMS, interactive Flash and database driven content. 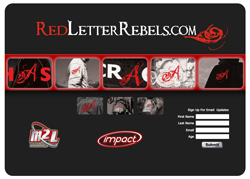 Red Letter Rebels is an abstinence program put on by More 2 Life. The site was designed to give more information on the area's billboards. The site has custom CMS and interactive Flash.